One of the most difficult, yet fulfilling, jobs to do is raising a child. The early adolescent stages can be some of the most life changing in a child’s life. Every child is different and expresses different needs and wants. Though every child may be different, there are a few tips that should be taken into consideration to assist you in providing the most effective parenting possible to your growing adolescent. Liahona Academy can offer help to not only troubled boys, but to parents as well. To speak with professionals about effective parenting call Liahona Academy at 1-800-675-8101. One of the hardest parts about parenting is feeling under prepared. Fear of the future often holds parents back and can deprive them of the ultimate feeling of fulfillment that comes with parenting. Remembering that little things make the biggest difference will help you, as a parent, to develop a nurturing mindset towards your child. Make communication a priority. Fully explaining situations to your adolescent will help them to understand your reasoning and therefore respect your rules and wishes. Set rules and be consistent with discipline. Discipline allows adolescents to learn self-control and choose good behaviors. More often than not they will test the limits you set for them, but remember that limits set for adolescents help them grow into responsible adults. Help build your child’s self-esteem. Choose your words carefully and lovingly. The words and actions of parents effect a child’s developing self-esteem more than anything else. Be a good role model. It is important to be aware that your child is constantly observing you. Display traits and actions you wish your adolescent to cultivate. The younger the adolescent, the more habits they pick up from you. Make time for your children. As young children, less attention from parents can often lead to poor behavior because they feel they are sure to be noticed that way. During the adolescent stage, frequent attention isn’t needed as much due to fewer opportunities to spend time together. That being said, parents should do their best to be available when their adolescent expresses the want to spend quality time together. 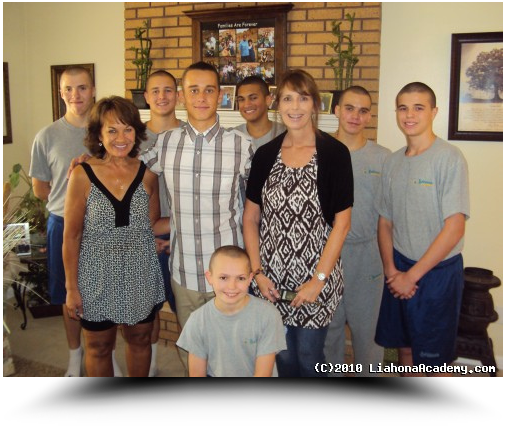 As a residential treatment center, Liahona Academy has assisted troubled teens that are struggling with problems at home. We understand that this is not always due to poor parenting, but by learning effective parenting skills and instilling them in your home while your children are young you can make a difference in your adolescent’s life that could be the main prevention of poor behavior. Liahona Academy offers hope and help to confused and struggling parents. Call us today at 1-800-675-8101 to speak to a counselor about effective parenting for adolescents.